An Amazon S3 bucket is a public cloud storage resource available in Amazon Web Services' (AWS) Simple Storage Service (S3), an object storage offering. Amazon S3 buckets, which are similar to file folders, store objects, which consist of data and its descriptive metadata. An S3 customer first creates a bucket in the AWS region of his or her choice and gives it a globally unique name. 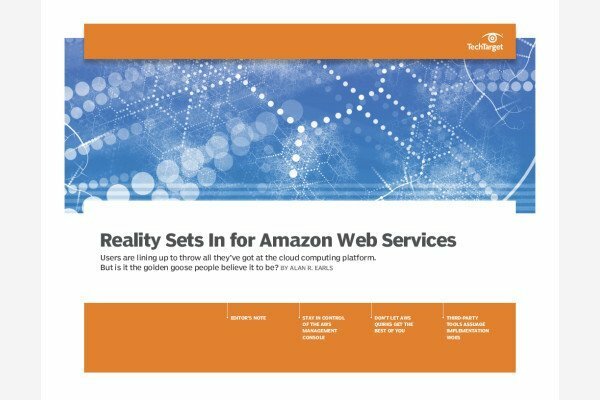 AWS recommends that customers choose regions geographically close to them to reduce latency and costs. Once the bucket has been created, the user then selects a tier for the data, with different S3 tiers having different levels of redundancy, prices and accessibility. One bucket can store objects from different S3 storage tiers. Then, the user can specify access privileges for the objects stored in a bucket, through mechanisms such as the AWS Identity and Access Management service, bucket policies and access control lists. An AWS customer can interact with an Amazon S3 bucket via the AWS Management Console, AWS Command Line Interface or application programming interfaces (APIs). AWS offers several features for Amazon S3 buckets. An IT professional can enable versioning for S3 buckets to preserve every version of an object when an operation is performed on it, such as a copy or delete operation. This helps an IT team prevent accidental deletion of an object. Likewise, upon bucket creation, a user can set up server access logs, object-level API logs, tags and encryption. Also, S3 Transfer Acceleration helps execute fast, secure transfers from a client to an S3 bucket via AWS edge locations. There is no limit to the amount of objects an IT professional can store in a bucket, though buckets cannot exist inside of other buckets. S3 performance remains the same regardless of how many buckets an individual creates. Each AWS account can create 100 buckets, though more are available by requesting a service limit increase. The AWS account that creates a bucket owns it, and ownership is not transferable. An S3 customer can delete a bucket, but another AWS user can claim that globally unique name. AWS charges customers for storing objects in a bucket and for transferring objects in and out of buckets. Bucket pricing varies by region. How do you configure your object storage?